I’m that type of person who prefers working at a cafe (or anywhere) than in a cubicle. Well unlucky for me, I’m stuck in my boring cubicle for now but working on my blog on weekends made me sometimes work in a cafe. YAAAY! Work Goals char! I’m not a choosy cafe customer, I would go anywhere as long they have a WiFi. I usually don’t mind the crowd and the noise but who would say no to a quiet cafe, right? 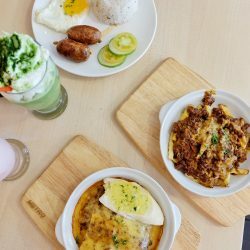 So if you are living near Banawe, Quezon City, you are one lucky person because Drip Cafe is just around the corner to give you a quiet place for you to beat your deadlines. Drip Cafe looks like a house turned into a cafe but I have this library first impression on it. Doesn’t it look like a library because of those windows at the second floor? 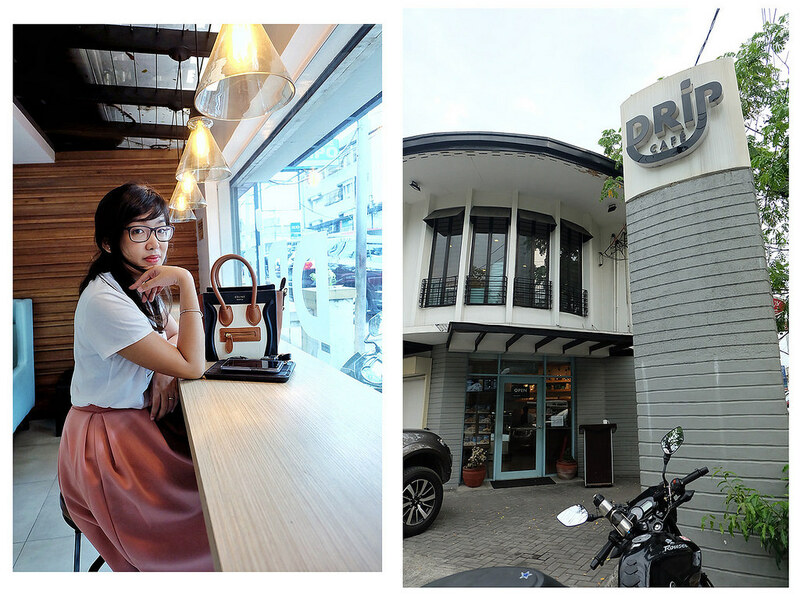 The place looks homey and cozy with its pastel blue and white combination with the touch of wood. 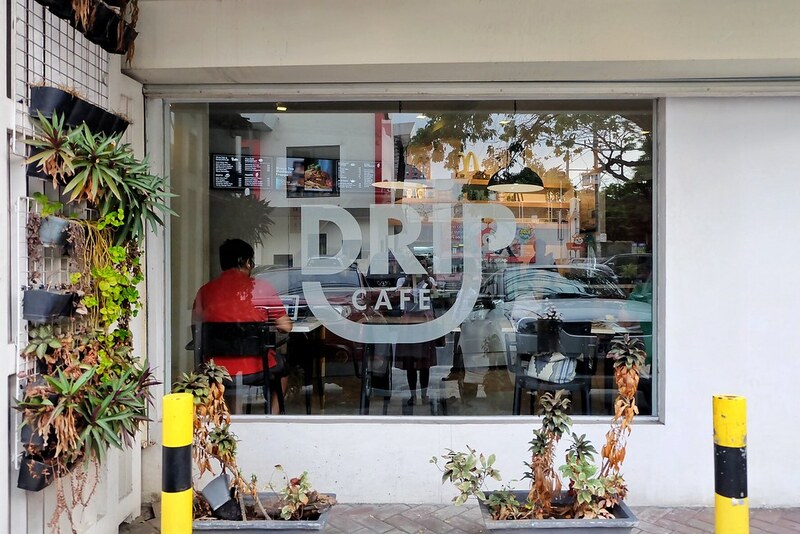 Unlike other cafes I’ve been, Drip Cafe is bright and lively inside despite the quietness. The cafe is simple but inviting and relaxing. The cafe has two floors but the tables are strategically arranged that it doesn’t look crowded. The first floor is usually for catching up dates. There are only four tables with one has this big sofa chairs. There is a counter too, with high chairs, for the solo ones and it is placed along the window. I always wanted to sit on those before with my frappe and wonder about people I see on the road. While the second floor is for working and studying. I love how the big sofa chairs are arranged in the corners by the long windows. There are 5 sets of those and I got the chance to sit on the one near the stairs since the other four are occupied by solo students studying for their exams. The chair is comfortable and big enough to move. I even saw one girl take her power nap on the sofa! If you prefer group studies, don’t worry they have 3 long tables for you, guys. I’ve been here for 2 hours and almost all table has been occupied but still, it’s a lot quieter here than other cafes I’ve been since college. Plus points is that they have Wifi (which is really not that fast) and outlets around. Try to bring an extension cord since it’s only limited. 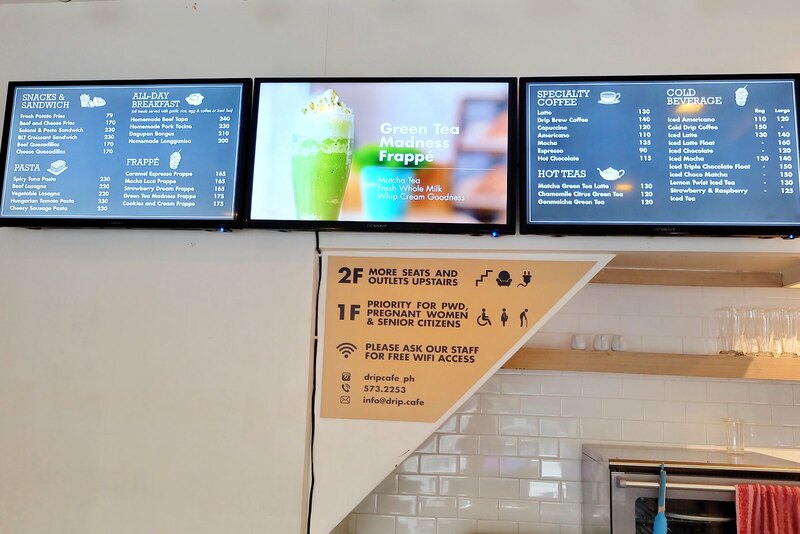 Drip cafe, where have you been all my college life? The food is good for their prices. 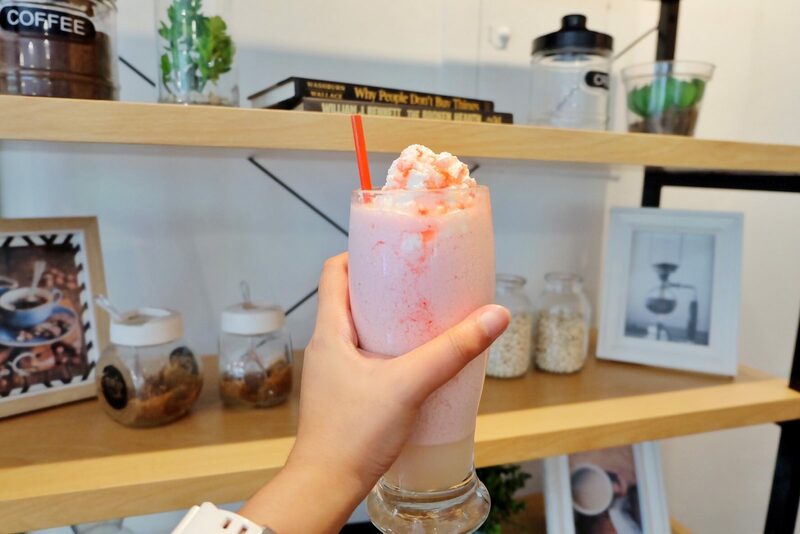 It is not just a frappe and coffee cafe. 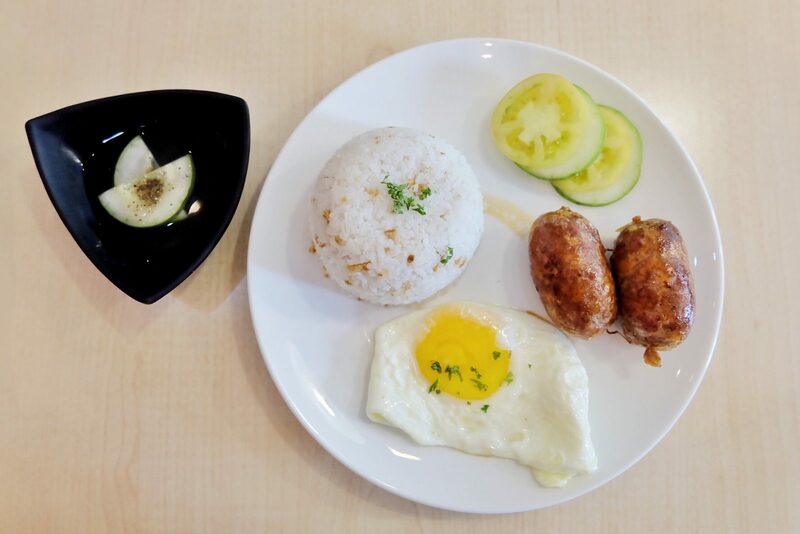 They also have snacks, sandwiches, pasta and all day breakfast in case you’re craving for rice. 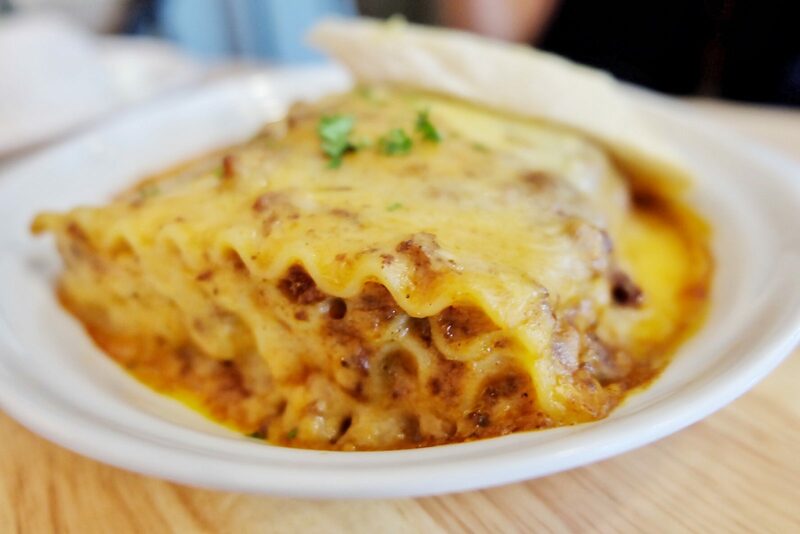 We ordered the beef and cheese fries from the snacks, beef lasagna for the pasta and the homemade longganisa for the all day breakfast. 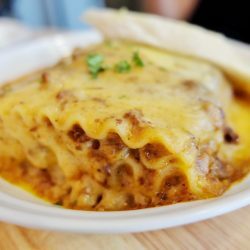 The lasagna is okay for me since my standard is the one in Greenwich but my sister loved it because it’s cheesy and beefy. It’s a little sour for my taste. She doesn’t like the homemade longganisa though. She wanted a sweet one but Drip Cafe’s more of garlic which I enjoyed. 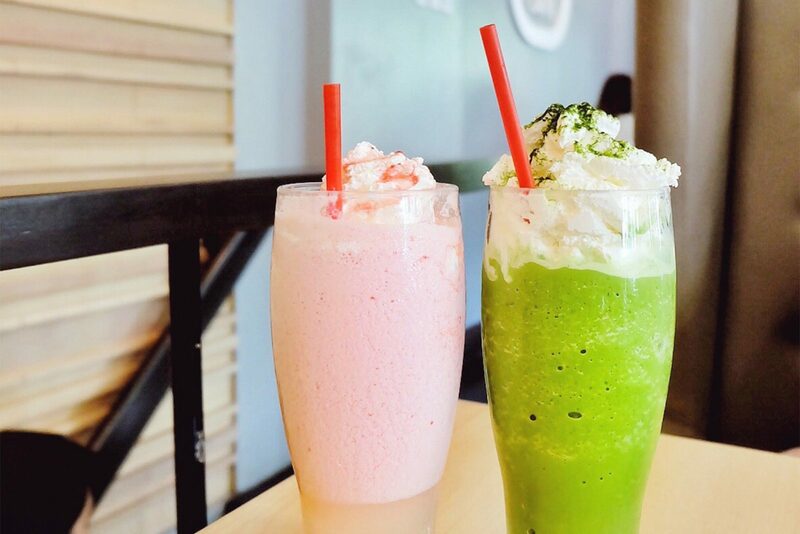 Two thumbs up on their strawberry and green tea frappes!! We are both not a coffee person so I’m sorry for the lack of review on that side. Overall, Drip Cafe is Wander B approved. 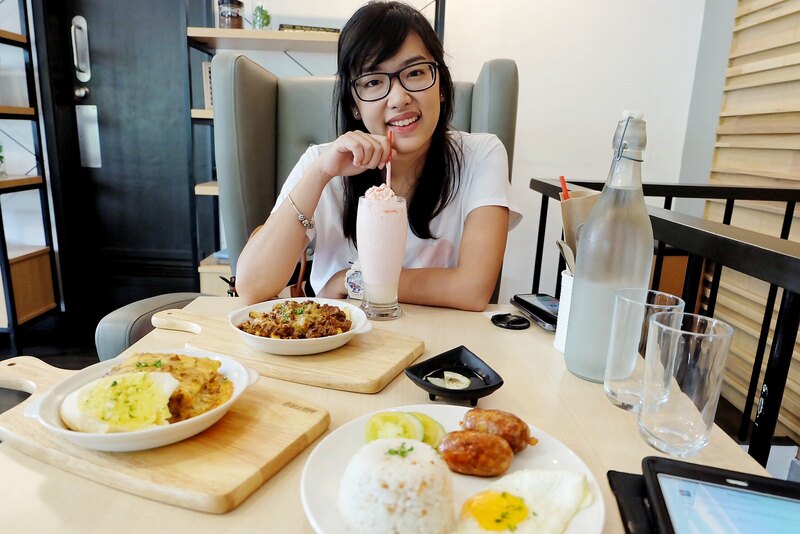 Good food, Check! Artsy, Check! Service, Check! Cleanliness, Check! Affordability, Check! One thing I love about the place is its big windows and the natural light inside making it bright and homey. If I live near the area, you would definitely always see me here on my laptop. 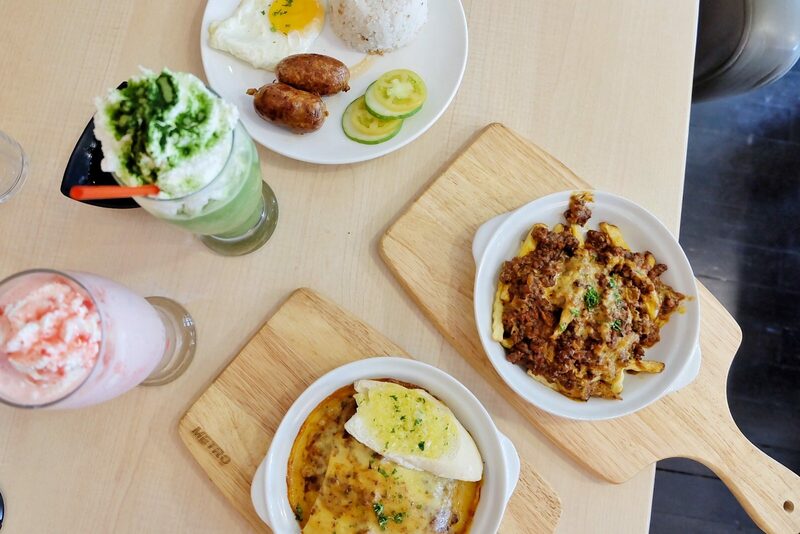 So if you’re near Banawe, QC and wanted a new place to hang out or be alone to, I recommend you Drip Cafe! 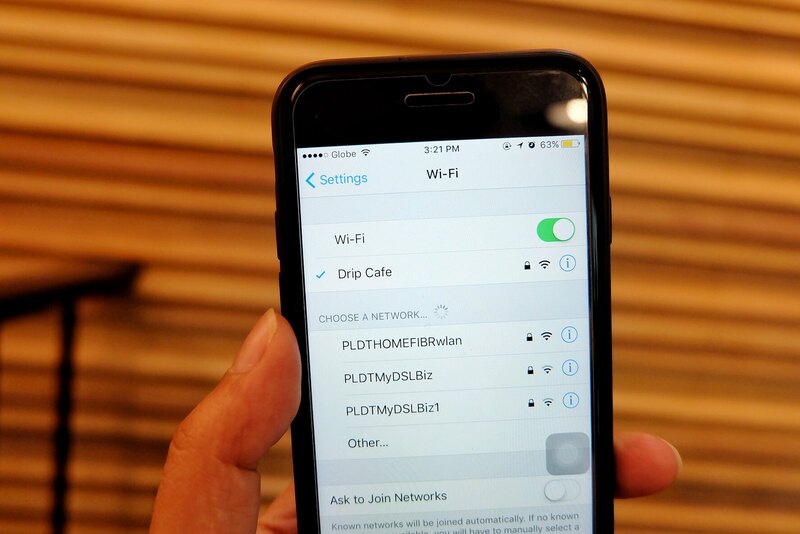 Drip Cafe is located along Banawe Street corner Maria Clara. It is in front of Orthopedic Hospital. via commute: Ride any jeepney or fx that will pass by Banawe Quezon Ave. (the one with Banawe Mcdonalds) From there, you can take a jeepney beside Mcdonalds and ask the driver to drop you at Maria Clara Street or the Orthopedic Hospital. Disclaimer: This is a sponsored post. 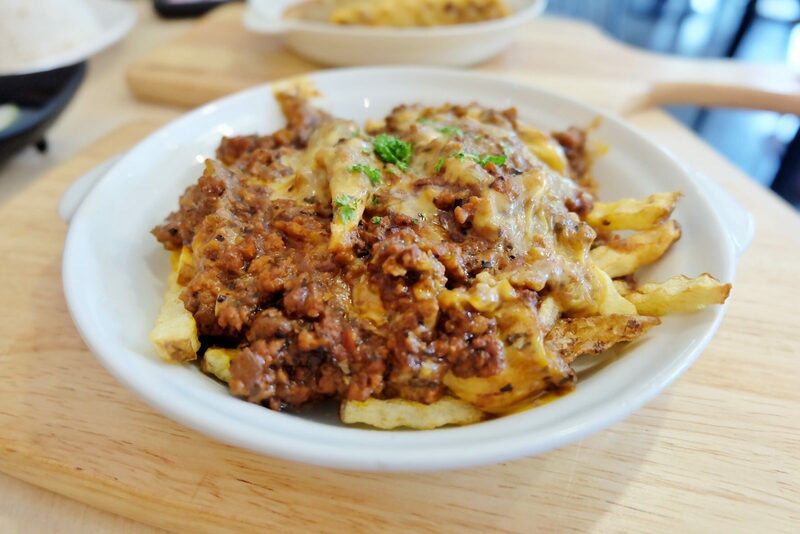 Drip Cafe invited me to their cafe for free food and experience in exchange for an honest review blog post. Don’t worry, all I said in this post are my own opinions and observations. I miss working in cafes. We basically started and finished our thesis in Bo’s Coffee. Haha! The interior of the place looks nice and the wide windows are definitely a plus. The food also looks yummy from your shots. I miss being a student because I lived in cafes during my thesis and board exam days, hahaha. 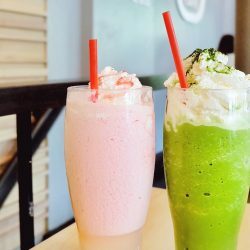 I still go to some cafes but it’s mostly my usuals and I barely try new ones na. This place looks so cozy! Would drop by when I’m in the area. Did you just change your theme B? Because im viewing it on phone. 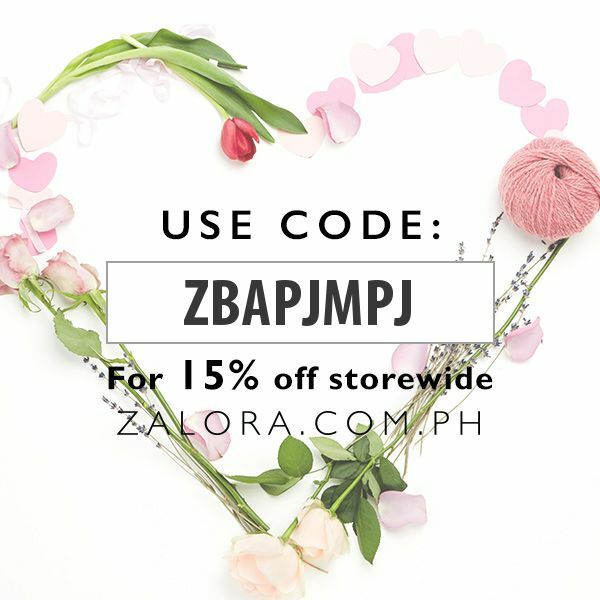 It looks good and i feel na mas mbilis mgload lahat, easy to navigate and simple ? 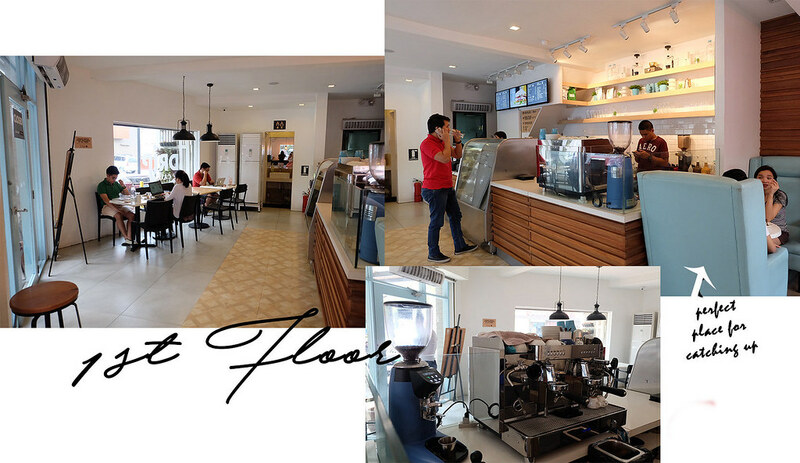 I have to check out this Cafe ASAP, samahan mo kami at wla kme alam sa daan, hehe. 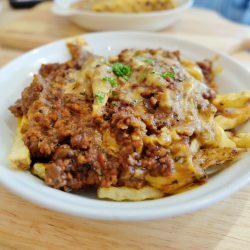 love your honest and detailed review and the photos are crisp. 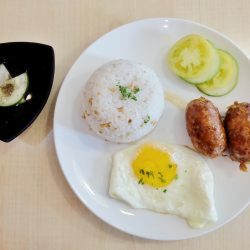 Nagutom ako sa food ? The place indeed looks like a library from the outside. But the interiors is just comfy and beautiful. I just hope that the menu prices are kinda lower so students other than the medical ones 🙂 could also afford and enjoy the place. Students these days are lucky. They are now a lot of things that make their student life easier. During my student days, Wendy’s was one of our favorite hang-outs. WE loved their salad station. 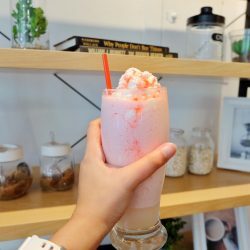 I love this Cafe cause aside from it has a welcoming environment, it is also very spacious like you don’t have to be really careful whenever you walk around. I like how it looks so comforting and the they also have a boatload of food to choose from. I haven’t been to this place, and I will surely visit If I get the chance. Thank you so much for sharing this with us.